The Nexus 5 has featured in countless renders and blurry snaps the past few months, but now we have a clear photo of the LG handset in its final form. Google's new Nexus 5 has shown off it's rear-end in a new image courtesy of AndroidPIT. Apparently what we're looking at is a genuine pic, too, not a tweaked press render according to the site's sources. So what are the talking points? 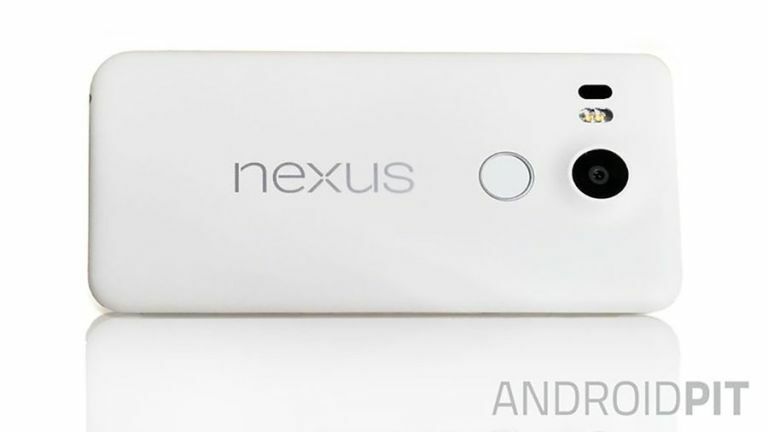 Well first off, the familiar Nexus logo is smack-bang in the middle of the handset. As is the fingerprint sensor that's been long-rumoured, which is positioned just below a raised camera lens (which we're expecting to be a 13MP shooter), an auto-focus module and an LED flash. We're inclined to believe this is the real deal, considering how the image matches up with previous leaked pics and renders. AndroidPIT also has word that it'll bear a sub-$400 (around £265) price tag, but its sources seem to think its camera won't be as good as the one on the LG G4, which is sure to cause a big sigh from all the selfie-snappers out there. If the rumours are true, we're in store for a 5.2-inch Full HD screen, a Snapdragon 808 processor, 4GB of RAM and the new-fangled USB Type-C. We should also mention that another phablet-sized Nexus is being made by Huawei, and will reportedly land as a successor to last year's Nexus 6. The Nexus duo are expected to debut on September 29 at an event in San Francisco, where they may also be joined by the Nexus 8 tablet. Time will tell.